These ultra-soft fan gaskets are designed to reduce the vibration from cooling fans, and maintain a seal between the case side and the fan housing. Each retail pack contains an anti-vibration fan gasket with 4 silicone washers and screws. These super-soft silicone fan gaskets are designed to dramatically reduce the vibration from any PC or server case cooling fans. The 60 and 70mm gaskets are 1.5mm thick, and the larger sizes are 2.5mm thick. 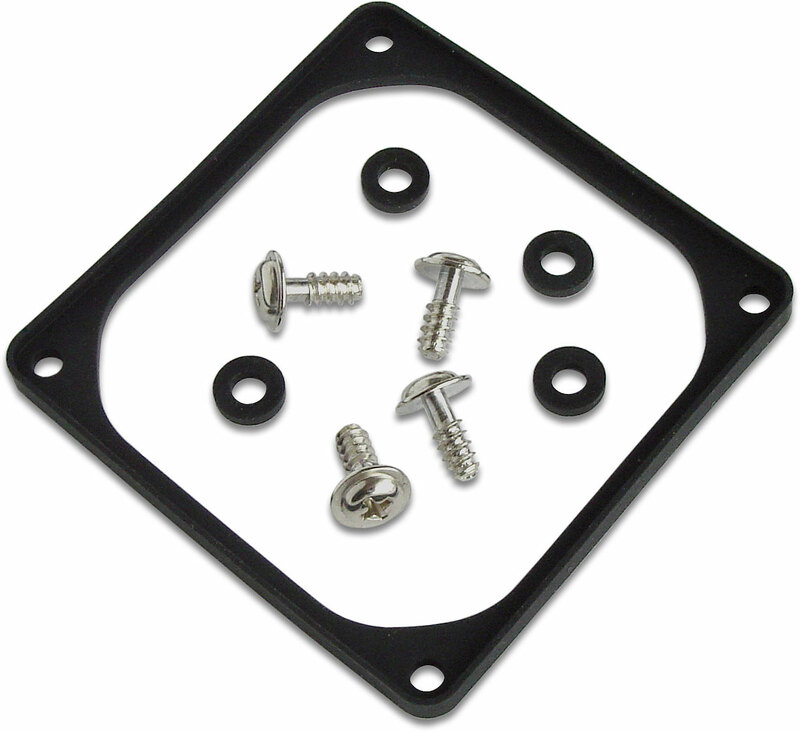 Included with each gasket are silicone washers and anti-vibration screws. These screws feature a thread design which prevents the shank touching the fan and vibrations being transmitted and amplified through to the chassis. This item doesn't do anything very complex in life, but it was easy to install and probably helps calm the case's tendency to rattle. So, worth buying. Much easier to install than those rubber golf tee mounts. I recommend these are always used with fans to avoid case vibrations. They are a cheap add on and worthwhile as far as I can tell. I fitted one of these to each of my new fans, they are fiddly to fit, they are thinner than they look, but when in place, seem to work well, I also used silicon mounts instead of metal screws, works well. These work - they reduce the vibration on the fan through the chassis. Works well. You may need to make the holes in the case slightly bigger - don't forget the screws shouldn't touch the sides of the holes. And don't overtighten!